Nasa’s Transiting Exoplanet Survey Satellite (TESS) has arrived at the Cape ahead of launch. Experts will send the ship hurtling through space in the hunt for exoplanets over a period of at least two years. The agency vowed to discover thousands of the new planets and will scan the new worlds for extraterrestrial life. “TESS is NASA’s next step in the search for planets outside of our solar system, known as exoplanets, including those that could support life,” the space agency reports. An exoplanet is a planet that orbits a star in any solar system other than the one Earth calls home. The TESS will launch aboard a SpaceX Falcon 9 rocket from Space Launch Complex 40 at Cape Canaveral. “NASA’s Transiting Exoplanet Survey Satellite will fly in an orbit that completes two circuits around Earth every time the Moon orbits once,” the space agency explained. “This special orbit will allow TESS’s cameras to monitor each patch of sky continuously for nearly a month at a time. “To get into this orbit, TESS will make a series of loops culminating in a lunar gravity assist, which will give it the final push it needs.” NASA reported in early February that the discovery of seven planets outside of our solar system could hold “the key to life as we know it”.It said researchers found some of the seven planets had as much as 250 times more water than here on Earth. The solar system home to these exoplanets – TRAPPIST-1 – is 40 light-years from Earth, or 235 trillion miles. 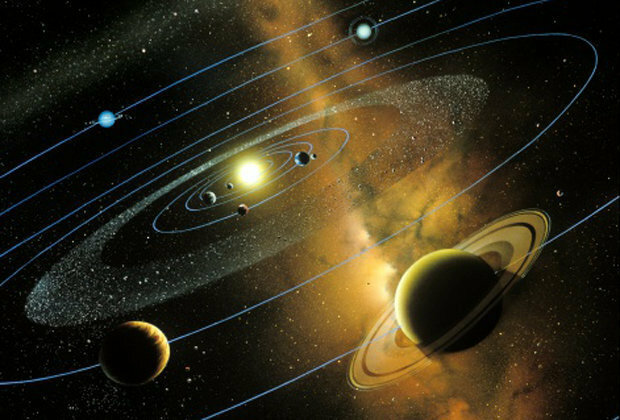 The seven planets orbit a star that is 9% larger than our Sun. NASA says that planets closest to this massive star are more likely to have water than those further away. The launch of TESS comes on the heels of NASA delaying the liftoff of its hotly-anticipated James Webb Space Telescope. Once it launches in 2020, the Webb telescope will serve as the “premier observatory” for the next decade as it will aim to serve thousands of astronomers around the world.